Spanish politics are a mess. The ruling conservatives won the election but fell short of a majority, while the Socialists came in second. Anti-austerity Podemos did better than expected thanks to a savvy campaign. It’s far from clear what the next government in Spain will look like. No wonder investors are shooting first by selling Spanish stocks, particularly in regulated sectors. Political pacts will be the order of the day. The problem is that there is no obvious combination that would add up to a majority of 176 seats in Parliament. Many had expected the ruling People’s Party to muster enough seats with Ciudadanos to pass the threshold. But Ciudadanos fizzled and came in fourth place, gaining just 40 seats. A PP-Ciudadanos alliance would have just 163 seats out of 350. Nor is a Portugal-style coalition of “losers” an obvious outcome. The Socialists (90 seats) and Podemos-backed parties (69 seats) add up to just 159 seats. Any uneasy alliance led by the Socialists would have to seek support from smaller players like the pro-independence parties in Catalonia, which obtained 17 seats. But this might be a red line for the Socialists, since they have said they do not support a referendum on independence, as Podemos does. Ciudadanos has said it won’t back any government with Podemos. What now? The PP will attempt to form a government. The only combination that would have a clear majority would be to join forces with the Socialists in a grand coalition. Ideally, Spain’s new and old parties could come together to agree on key reforms. But there is much bad blood between the current party leaders. Either way, it’s hard to see a stable government that can last another four years. The political malaise spells trouble for Spain’s IBEX 35, which fell 2.8 percent in early morning trading. A slowdown in the economy would hurt the banking sector and real estate market. First in the firing line are domestic banks such as Banco Popular. Investors also sold heavily regulated utilities such as Endesa and airports group Aena. Investors always hate uncertainty. There is plenty of it in Spain at the moment. The second paragraph of this column has been corrected to show a PP-Ciudadano alliance would have 163 seats, not 162 as stated in an earlier version. 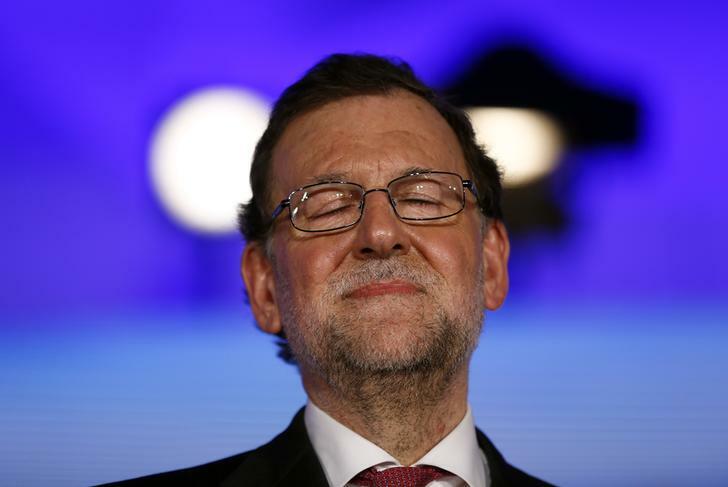 Spanish Prime Minister and People's Party (PP) leader Mariano Rajoy pauses during a campaign rally ahead of Spain's general election in Valencia, Spain, December 18, 2015. Spain’s ruling conservative People’s Party (PP) won the general elections on Dec. 20 with 28.7 percent of the vote and 123 out of 350 seats in the Parliament, well short of the 176 needed for a majority. The Socialist party came in second with 22 percent of the vote and 90 seats. Podemos-backed anti-austerity parties came in third with 69 seats, while centrist Ciudadanos gained 40 seats. The rest of the vote was gained by mostly nationalist parties. The radical pro-independence party ERC in Catalonia obtained nine seats, while the more conservative Catalan pro-independence party Democràcia i Llibertat gained eight seats. The Basque Party won six seats. The new Parliament will convene on Jan. 13. At 0833 GMT, Spain’s IBEX 35 index was down 2.8 percent to 9,445 points. Yields on Spain’s 10-year bond were 1.84 percent, higher than the 1.70 percent close on Dec. 18.